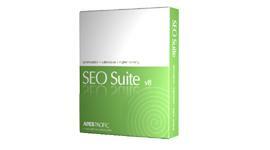 Title: "SEO Software & SEO Tools For Top 10 Ranking | SEO Suite"
Description: "Apex SEO Suite incorporating 25+ SEO software tools for SEO marketing & management. Get top 10 ranking on Google guarantee. Try it free & see why it’s trusted by 1000's SEO professionals worldwide." Persistent cookies are the cookies that are preserved through browser shutdowns. This means, even if you close this page today and ever return there in future, the website will know you're a returning visitor. This may be used for "remember me" features, as well as persistent user tracking. These cookies, especially if set by third party organisations, are powerful tool for monitoring your activities across all the websites you visit. This website sets 2 persistent cookies with average life-time of 456 days and longest 730 days.